CURRENTLY READING How Bad Is It to Sleep in My Contacts, Really? We know we shouldn't fall asleep in our contacts, but like “accidentally” eating some expired pesto or “accidentally” popping a zit, sometimes it just happens. Late nights happen. Naps happen. But after hearing reports of people going blind as a result, we started to worry. And from researching and talking to experts, we realized we might actually have reason to. Some science: As the body’s only form of transparent tissue, the cornea gets its oxygen solely from the air. That means that when you put in contact lenses, the oxygen supply lessens a bit, and when you close your eyes, the supply lessens more. When you combine the two, the oxygen can be critically reduced, says Kerry Assil, M.D., an eye surgeon at the Assil Eye Institute in Los Angeles. Without oxygen, the cornea swells up—not a cartoonish, popping-out-of-your-head amount, but enough so that gaps appear between the eye’s surface cells, where bacteria can sneak in. This bacteria may increase your risk of eye infection by nearly sevenfold, says Thomas Steinemann, M.D., a clinical spokesperson for the American Academy of Ophthalmology. Risk factors for moderate and severe microbial keratitis in daily wear contact lens users. Stapleton F, Edwards K, Keay L. Ophthalmology, 2012, Apr.;119(8):1549-4713. And because the eye doesn’t have the body’s same immune system protection, things can turn bad fast. If that weren't enough, the lenses can function like a Petri dish, says James Auran, M.D., a professor of ophthalmology at Columbia University. So if there's any bacteria on your lenses (common culprit: a lens case that's seen better days), you’re basically holding them right against your eye. Gross and terrifying as this sounds, a 15-minute nap should be OK, right? Well, Assil likens it to playing Russian Roulette or walking through a steadily populating minefield. The swelling begins immediately and continues as long as your eyelids are closed, so the longer you sleep (say a full eight hours versus 15 minutes), the riskier the game. When you wear contacts, every blink against them creates a tiny abrasion. Sleeping in contacts also messes with your eyes in the long run. We blink about 3 million times a year, and when you wear contacts, every blink against them creates a tiny abrasion, Assil says. Over time, the eyelid’s inner lining becomes rougher from all the rubbing, keeping it from reaching the same levels of lubrication. Add in the inflammation from wearing your contacts to bed, and it only exacerbates the problem. That means most everyone's basically destined for drier, more allergy- and infection-prone eyes, and those who sleep in their contacts boost their risk of one day not being able to wear lenses at all, Assil says. 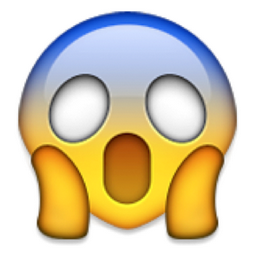 The "shocked" emoji pretty much nails it. Delaying your nap by 30 seconds to take out your contacts is worth it—as is doing your best to avoid sleeping in them, or asking your doctor about lenses that are FDA-approved for overnight wear. Otherwise, if you absolutely must sleep in your lenses (long flights on a plane, unexpected sleepovers, that kind of thing), remember to flood your eyes with drops upon awakening, Auran says. Hands off the contacts until then—prying a stubborn lens out can potentially scratch your cornea, leaving you with lasting damage on top of the kind already done by dozing.